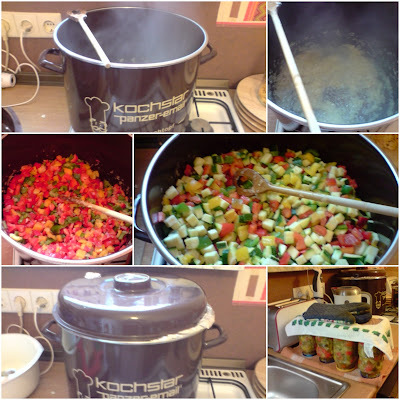 I love the idea of lecso, the Hungarian dish with onions, bell pepper and zucchini. 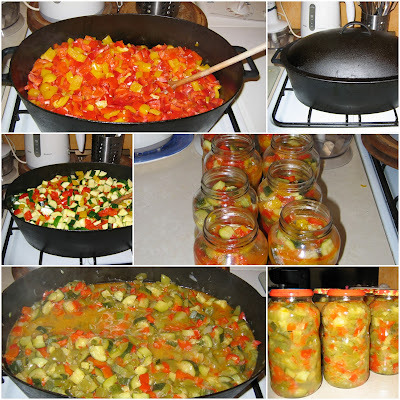 In the Fall I make a few jars for the Winter - let's be honest, the vegetables in the Winter are never "fresh" the way I think we should eat them. So I make lecso in when the vegetables have their season. Preserving vegetables is a great deal for having some of them for the Winter time. Here are some pictures from two different years I was cooking and later preserving lecso.